Although most homeowners are primarily concerned with the interior of their home, there are many reasons to focus on the exterior as well. The roof of a home is responsible for protecting the entire property from the elements. In order to ensure your roof maintains some structural integrity, it is important to schedule regular inspections. Professionals generally recommend that roofs receive a detailed inspection at least twice per year. One inspection should occur in the fall and the other in the spring. The mild weather experienced during these seasons makes it easier to spot issues. 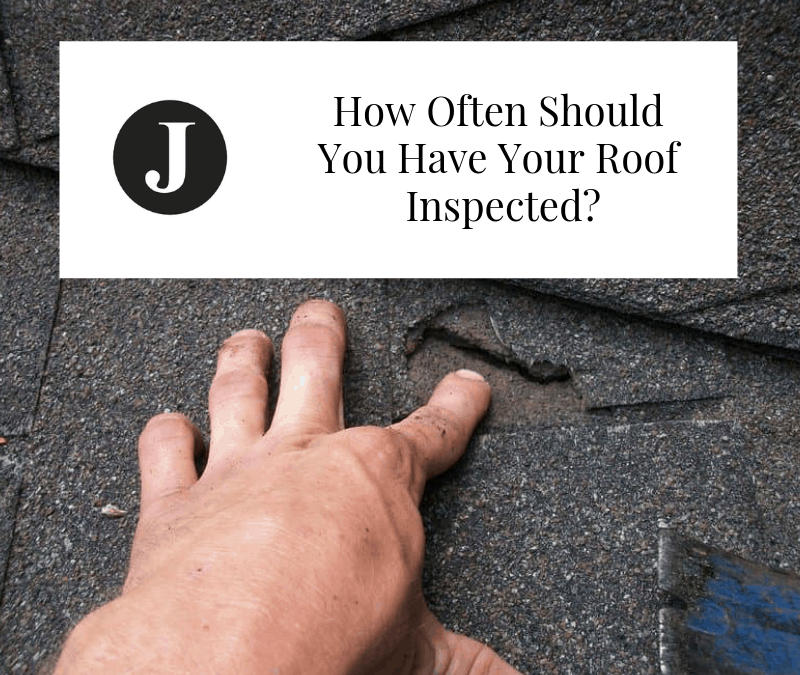 Having one inspection in the fall and one in the spring also ensures that your roof receives inspections that are evenly spaced throughout the year. These inspections are strategically placed before periods of temperature increase and seasonal weather changes to help prepare a roof for potential hazards that occur. It is also important to have a roof inspected after periods of inclement weather. For example, roofs can receive a lot of damage from constant rain, hail, and heavy snow. New roofs should even receive an inspection after these periods of fierce weather. Any roof has the potential to be ruined or damaged during these events. It is much better to solve the problem quickly before it gets worse. Although it may seem tedious to perform these inspections so often, you’ll find this task much more favorable than fixing a broken roof. Even the smallest areas of damage can end up leading to major problems when not fixed immediately. This can even lead to damage within the home as well. Preventing these major problems will end up saving you money in the long run. Should you hire a professional to inspect your roof or perform the inspection yourself? Many homeowners will prefer to perform roof inspections on their own. In reality, there are advantages and disadvantages to each form of inspection. However, it is important to remember that many roofing warranties will be made void if your roof isn’t inspected by a licensed professional. Insurance companies also insist that roof inspections are performed by professionals. The safest way to maintain a roof is by incorporating both forms of inspection. You should hire a professional to perform inspections a few times per year while also inspecting the roof on your own. While it may be tempting to rely on a pair of binoculars to inspect your roof, it is better to get on the same height as the roof. Instead of climbing on top of the roof, it is recommendable to stay on a ladder when making the inspection. Walking on your roof may end up causing further damage and can even nullify the roofing warranty. If you notice some minor or considerable damage during a roof inspection, it is a good idea to schedule an appointment with a professional roofing company. Crumbling chimney mortar, sunken or uneven spots, buckling or missing shingles, rusted gutters, and cracked flashings are all good reasons to call for a proper inspection. Missing chimney caps, loose caulking, damaged skylights, and excessive debris in gutters are also good reasons to call a professional. Fortunately, most roofing companies provide free inspections. While most homeowners will be able to spot major problems with their roof, professionals will be able to spot minor problems that may go unnoticed otherwise. Janney Roofing specializes in detailed roof inspections to determine what kind of damage has been incurred. These inspections also help homeowners determine the best methods for fixing their roof. Our Orlando roofers will evaluate every aspect of your roof to identify any areas that may require replacement or repair. While the external portion of a roof is the most obvious place to perform an inspection, it is also important to ensure that the internal portion is free from damage as well. Our thorough inspections will also include an evaluation of your attic. These areas can provide some insight into the condition of a roof. Leaks, holes, black mold, and other issues could reveal potential problems that weren’t apparent from the outside. Janney Roofing is dedicated to giving our customers peace of mind when it comes to worrying about their roof. Our previous clients often consider us to be the best of all the other Orlando roofing companies. Whether we’re providing a free inspection or replacing your roof entirely, our professionals will ensure that the entire process is smooth and hassle-free.